What Does Your Logo Really Mean? A logo can play a massive part in how we perceive a brand. Consciously and subconsciously. Colors, fonts, symmetry, symbols, hidden meanings. There’s more than meets the eye in many logos. What does your logo mean? 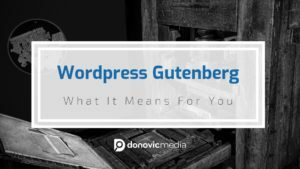 The WordPress Gutenberg Editor is set to become the official WordPress WYSIWYG editor for content. The content is laid out in what are called “blocks”. In order to keep your reputation intact and ensure your brand evolves in the right direction, watch out for these common mistakes that we outline. 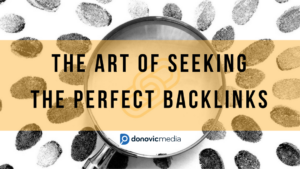 There is no science to finding the perfect backlinks for your site. It’s completely relative, though relevancy and quality are universal. Brands can manipulate stories to fit their agenda. 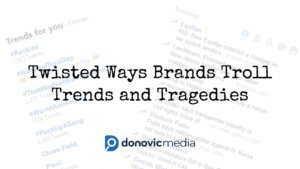 Trends and tragedies aren’t something to be exploited for a brand’s gain – find out more in this article. Does your business juggle Facebook, Twitter, Instagram, Pinterest, etc? Sometimes you don’t need to utilize them all. 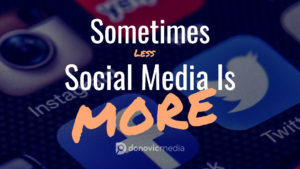 Sometimes less social media is more. Reach out today for a free consultation and let us help your site soar.